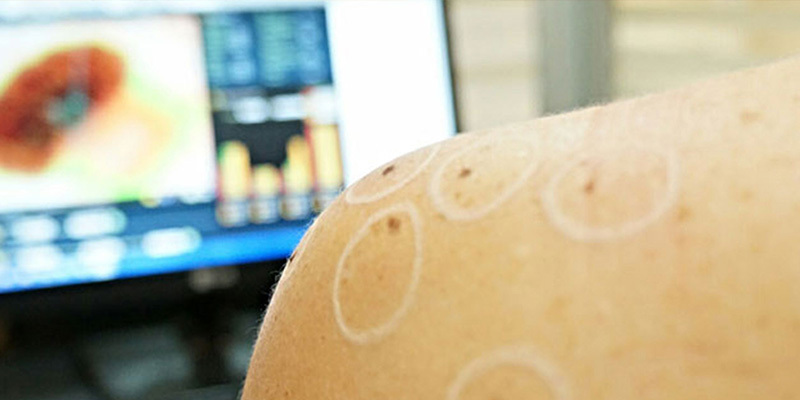 Mole mapping is a diagnostic technique that incorporates the use of images to monitor changes in the skin over time. Physicians will reference previous mole map images to confirm whether there have been changes in size, color, or border shape of existing moles, and to determine whether any new moles have developed since your last appointment. People who have an above average number of moles on their body (over 50) should have their physician regularly examine their body for changes to existing moles or potential new growths that might otherwise go unnoticed. Mole mapping tools can range from a simple hand-drawn diagram of the body, designed for at home skin checks, to a more sophisticated technology used in a dermatological setting. Mole mapping in a physician's office will typically use digital photographs to monitor changes in mole size and shape, creating a point of reference for new or developing moles. As you continue with your regular annual or biannual skin examinations, the physician can review previous pictures and make note of any changes to the skin. If a physician suspects a suspicious mole during the mole mapping procedure, he or she may choose to remove it for further testing. Have you found a sign of skin cancer? Do not wait. Schedule an evaluation today.